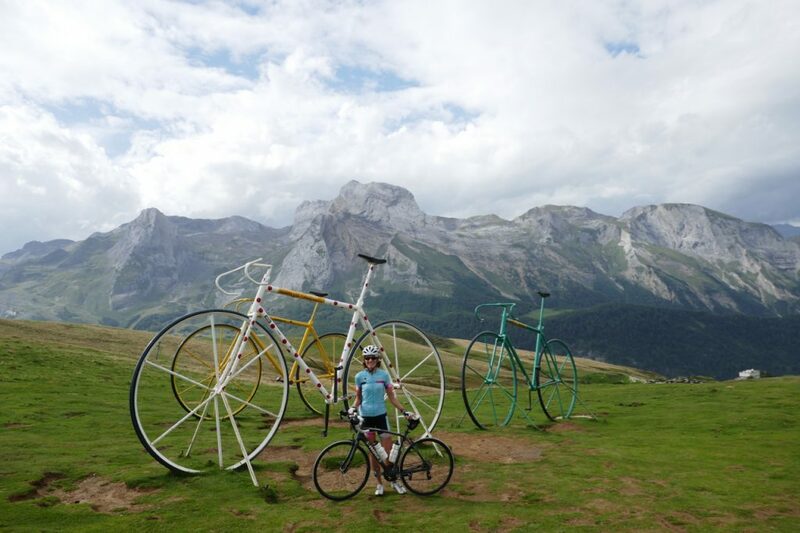 44|5’s HighRoad Pyrenees bike tour takes place in the 2nd of France’s great mountain ranges (after the Alps), which forms a natural frontier with Spain to the south. The Pyrenees are even more steeped in cycling history than the Alps, having hosted the Tour de France for well over 100 years. Tourmalet, Aspin, Aubisque, Peyresourde are mythic cols with legendary stories being added every year (like Chris Froome’s amazing attack on the descent of the Peyresourde in 2016). The Pyrenees are different in character from the French Alps, too; with much of the central range being a National Park, we ride through unspoiled nature, dotted with rustic villages and lively spa towns. But your HighRoad Pyrenees tour is no outback camping trip! We have scoured the range for excellent hotels and quality restaurants serving fresh, local cuisine. After a day on the bike in the high mountains, you deserve the comforts of home. Your cycling tour starts in the central Hautes Pyrénées, crossing the range in a westerly direction to finish in the bustling resort town of St. Jean de Luz, on the Bay of Biscay. 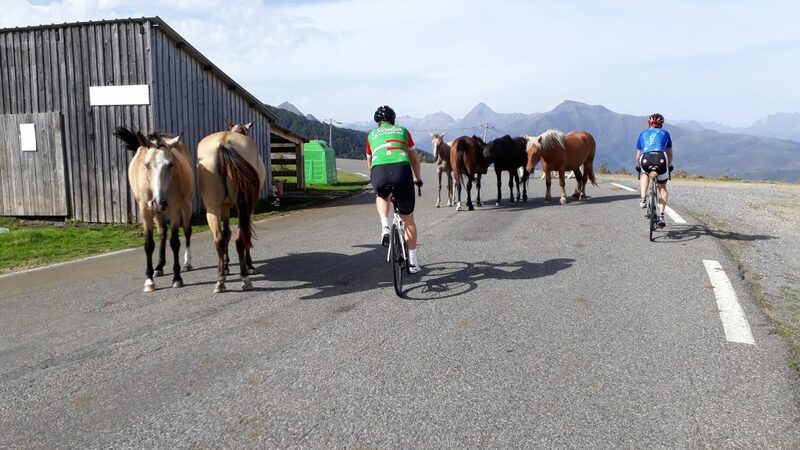 Like our other HighRoad tours, once you arrive in the mountains, you will be riding your bike and not sitting in a van: after your airport pick-up there are no more transfers till you fly back home. 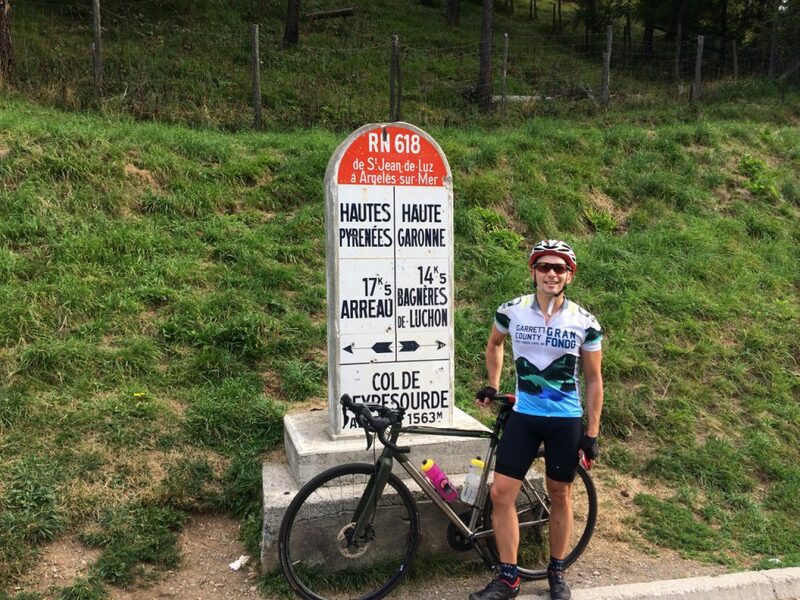 HighRoad Pyrenees is one of our ‘Hors Catégorie’ cycling tours, which are reserved for strong riders who can handle multiple days of long distances and sustained, steep gradients. 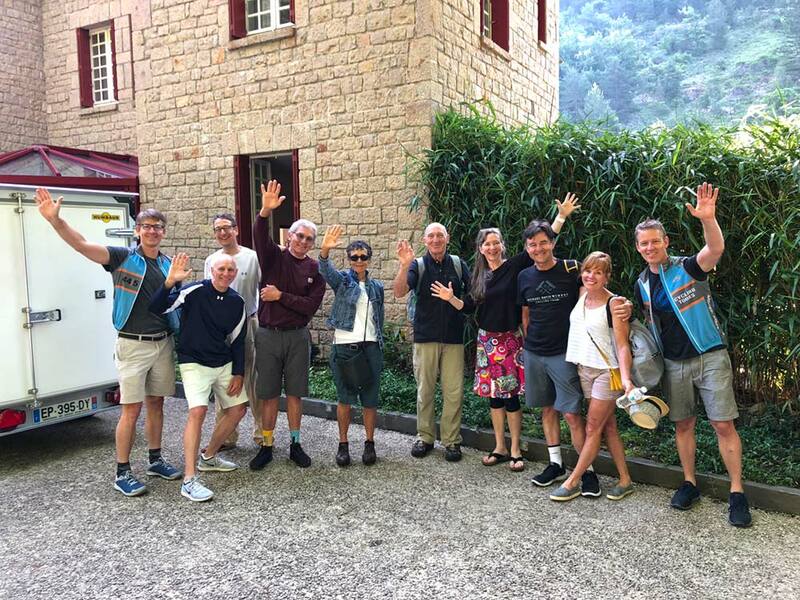 A typical day on your Pyrenees tour begins with a healthy buffet breakfast, followed by a ride in this legendary cycling region. Most rides will end back at your hotel (or the next one along the route) for a post-effort lunch. However, on longer days in the saddle (Day 3 and 5 for example) it will be a picnic lunch on the road. You will always have a few hours in the afternoon to relax and explore your surroundings before we meet for a dinner of delicious local fare. Transfer to Hotel and Afternoon Ride. 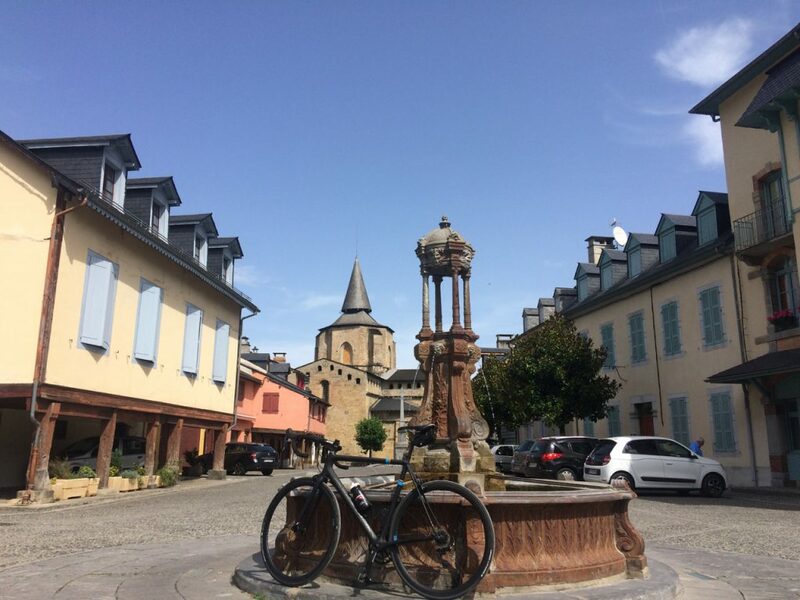 Your Pyrenees bike tour begins at Toulouse airport, where we’ll pick you up and transport you to your hotel in the spa town of Bagnères de Luchon. After setting up your bikes and taking a “shake-out” spin, we will have a ‘welcome dinner’ in the hotel restaurant and talk about the amazing rides to come. Ride: Col de Menté Loop. Approximately 90 km and 1700 m of ascent. 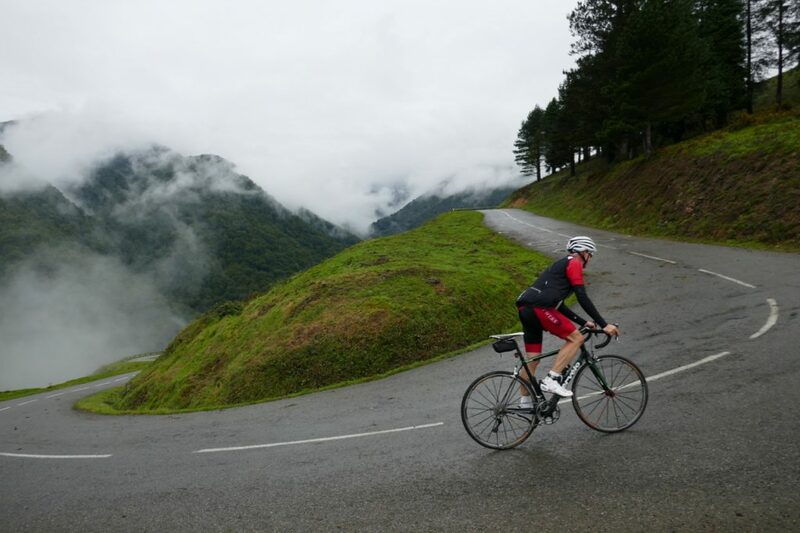 Your first day of cycling in the Pyrenees is the perfect intro, with a great valley ride out of Luchon to our first real climb of the tour – the Col de Menté. This climb, like many others on your tour, has a Tour de France story or two to tell (click on the ’climbs’ tab for more). It is a hard climb, but you are treated to a gorgeous descent on the other side, followed by a gentler ride all the way back to our hotel. Tonight we walk into the spa town center for some great local fare. Ride: To Argèles Gazost via the Col de Peyresourde, Col d’Aspin, Col du Tourmalet. Approximately 115 km and 3000 m of ascent. The first of two ’Queen Stages’ on your HighRoad tour, you really don’t get deeper into Tour de France history than the high mountains we’ll be climbing today. Starting with the Peyresourde, right out of Luchon, our day will be a series of giant, legendary ups and downs, culminating in Argèles Gazost after a super-long descent off the Col du Tourmalet. Dinner is at our Art Deco hotel in Argèles. Ride: Hautacam. Approximately 45 km and 1550 m of ascent. A ’recovery day’ of sorts. Shorter than our other days but you will still climb one big Tour de France legend – Hautacam! Ride: To Larrau via the Col de Soulor, Col d’Aubisque, Col du Marie Blanque. Approximately 120 km and 2800 m of ascent. You’ll be happy to have rested the legs a little yesterday because we are back to the big cols again today, traveling a substantial 120 km in the process. 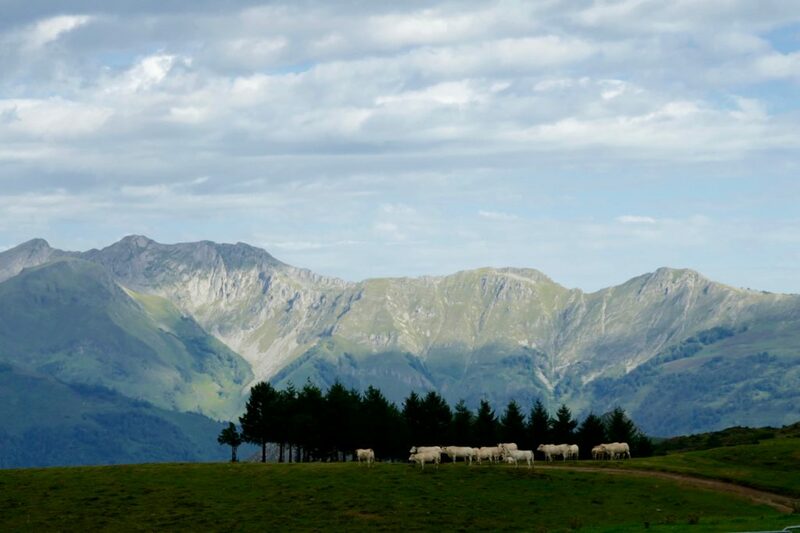 The Soulor-Aubisque duo greets us first thing in the morning with a big combined climb filled with scenes of grazing cows, panoramic views from the summits, and a ’balcony road’ between the two that will take your breath away. The Marie Blanque, frequently seen in the Tour de France, is a ’little’ climb in comparison, and really scenic. 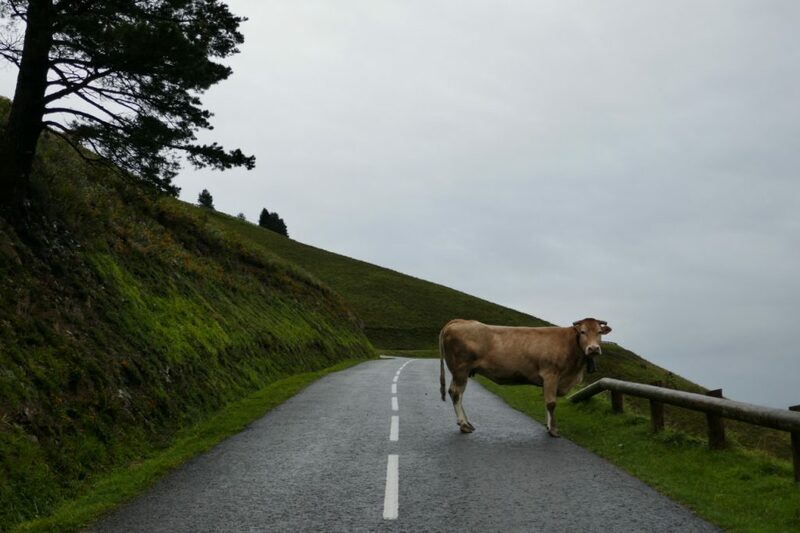 Once you descend down the western side you are in the cycling-mad Basque Country for the rest of your tour. Tonight we have dinner at our village hotel with a view over the valley that is rivaled only by the taste of the cuisine. Ride: Col de Suscousse, Col de Soudet, Col de la Pierre St Martin. Approximately 70 km and 2000 m of ascent. It’s ”only” an out and back today, but with long stretches of over 10% on this stunning climb, each way will seem like a completely different road. We ride today through the quiet, lush Uhaitxa Valley, which rises (sometimes sharply) to the Col de Suscousse, then the Col de Soudet, where you start the last push, above the treeline, to the Col de la Pierre St Martin, on the Spanish border. Dinner tonight at our hotel with that same fabulous view! Ride: To St. Jean de Luz via the Col de Bagargi, Col d’Ispeguy, Col de St. Ignace. Approximately 118 km and 2200 m of ascent. Your final of riding in the Pyrenees is entirely through the beautiful Basque Country. We climb plenty of cols today, but they progressively get smaller as we make our way to the Atlantic coast, giving our tour a gentle finish. We also dip into Spain, over the Col d’Ispeguy – if we’re making good time perhaps we can stop for a cafe con leche! Dinner is on your own in Saint-Jean-de-Luz. Morning transfers to Toulouse Airport for your connection home or onward. 44|5 has chosen your accommodation for the best mix of comfort, cycling services and ride availability. You’re always within walking distance of village centers, restaurants, bike shops and other necessities. 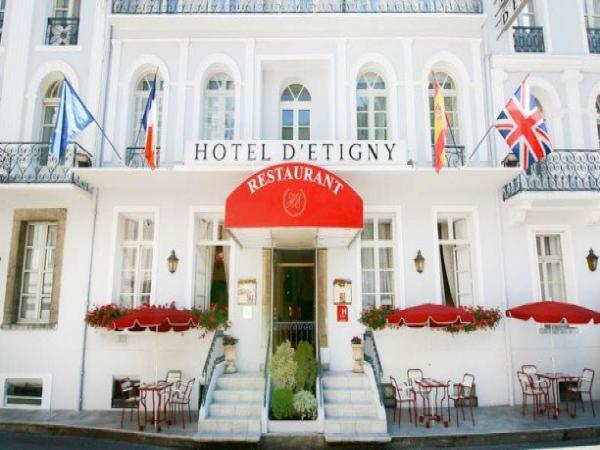 Housed in an 18th century mansion and steps from Bagnères de Luchon’s thermal baths, the Hotel d’Etigny is an ideal place to start off our tour. The hotel has recently been renovated and now has a lovely garden and outdoor heated pool for you to enjoy after rides. 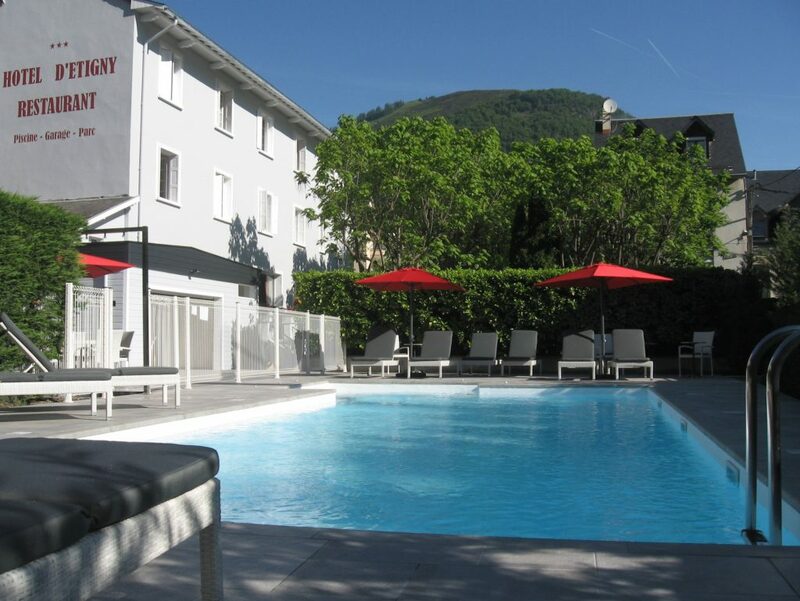 The hotel is located in a quiet corner of town, a short walk to the cafes and restaurants of Luchon. 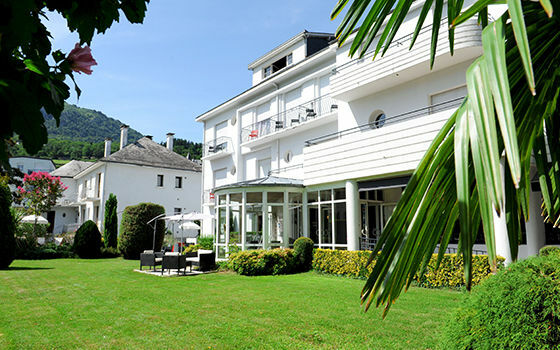 Built in 1930, Le Miramont Hotel has been recently renovated to its former Art Deco glory. This 3-star hotel is centrally located in Argèles-Gazost with views of the mountains and a garden outside to relax and stretch your legs. The Pucheu family promises you excellent service and the restaurant serves wonderful dishes, dreamed up by the head chef (the owner’s son) according to the season and what’s fresh at the market. 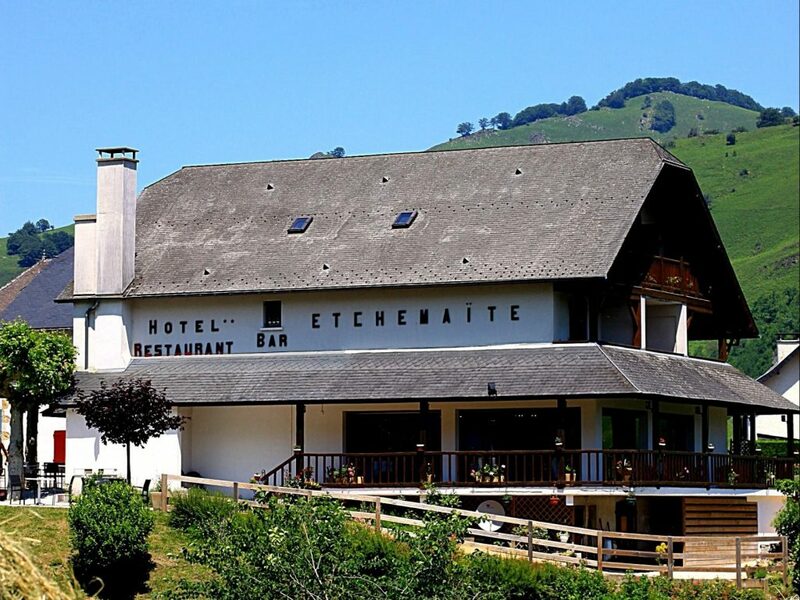 Housed in a rambling village house in Larrau, this 3-start hotel has been in the Etchemaïté family for 3 generations. The rooms are comfortable and modern and the village is a very pretty example of Basque architecture and atmosphere (there’s a Basque pelota court right across the street). 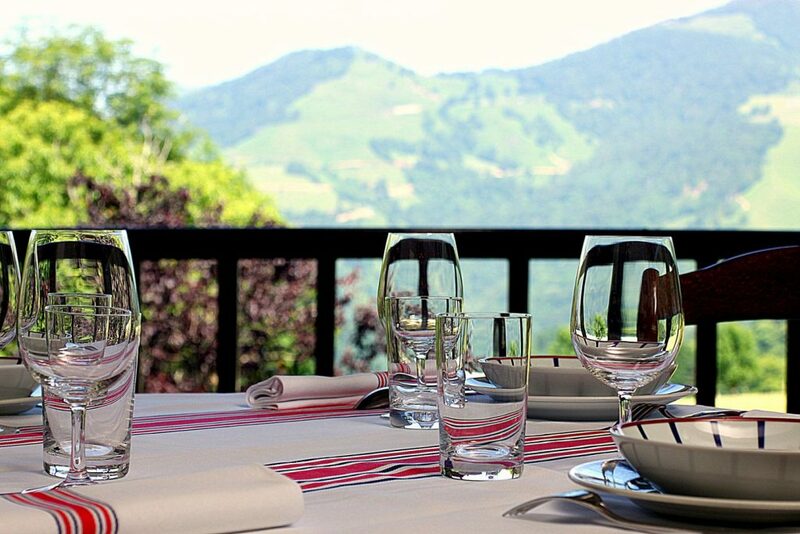 Chef Pierre Etchemaïté and his team in the kitchen produce gourmet meals from quality local ingredients, served in a dining room with a gorgeous view over the valley below. 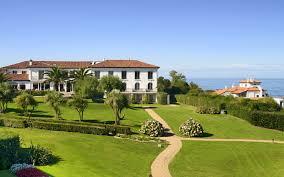 This 4-star hotel sits right on the shores of the Atlantic Ocean, a short walk away from the center of Saint-Jean-de-Luz, a popular resort town on the famous Basque Coast. 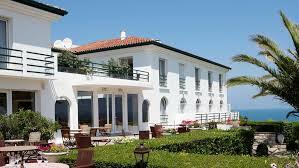 The hotel has large grounds, great views of the Bay of Biscay and a relaxing resort atmosphere. We advise arriving a night before the tour and staying either at a hotel airport or in Toulouse itself. The ‘Pink City’ (La Ville Rose) is a vibrant town with one of the oldest universities in France, an old city center that is a joy to explore, and some great restaurants. It would be well worth a day or two on either end of your tour.